The older you get the smarter you get and I just hate to carry a big tank. When I learnt to dive I had very bad air consumption, on a standard tank I could get 15 minutes at Oak Park (a 10-meter dive). At that stage, I thought the answer was to get a big tank so I got a 15 Litre tank which was just putting a Band-Aid on the problem and not addressing the real issue. Over the years I have learnt a number of tricks to improve my air consumption so I now dive with a 9 Litre tank. While your scuba air consumption should improve with time, there are some steps you can take now to make that tank last longer and conserve air while you are scuba diving. Ok, you probably don’t want to hear this one, but the one thing that will improve your air consumption is more diving. The more comfortable you get in the water, the less air you are going to use. Have you noticed if you are on a week-long dive trip you use less air at the end of the week than you did during your first dives? It’s a function of being more comfortable and relaxing under the water. So more dives under your belt is probably the biggest thing you can do to reduce air consumption. This is a simple one. Split fins are 80% more efficient than the traditional paddle fin. This converts into a 30% improvement in Air Consumption. Use split fins and you get to stay down there 30% Longer. If you get cold then you need to use energy (oxygen) to create heat. If you stay warm you will significantly reduce your air consumption and at the same time you will enjoy the dive much more. Get yourself a wetsuit suited to the environment you are diving in and make sure it is a good fit. A good investment is a lavacore undergarment because of the increased warmth without increased bouyancy. When you are diving efficiently, the second biggest muscle you are using is your diaphragm. The harder you have to work to breath the more energy and hence air you need to use. The difference in the energy needed to breath varies dramatically from one regulator to another. Buy a balanced regulator with a work of breathing rate of less than 0.8 Joules. Also ensure you set the regulator for maximum ease of breathing, including using the Dive/predive switch. You should not be taking lots of short, shallow breaths. You should breathe in deeply and slowly and slowly exhale. Do not hold your breath to try and decrease air consumption. This is a no-no as you learned when you were getting your open water course. You should use a minimum of movement. The more you are moving around underwater, the more air you will use. Keep your hands out your side or held in front of you (or whatever position you are comfortable with). You don’t need them to swim for the most part so don’t use them. Just move forward with your fins. If you are on a Drift Dive you usually don’t even need those. 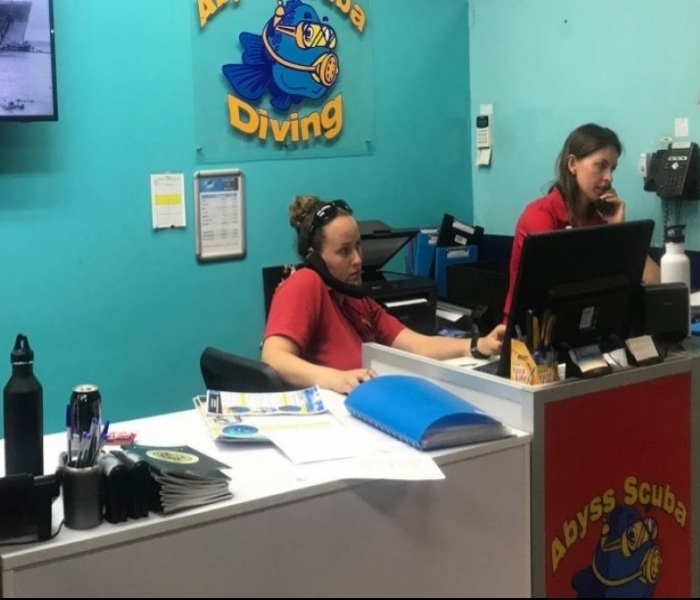 Look at the experienced divers and divemasters. They just float along and barely move. That is what you are aiming for. Concentrate on your movements while underwater – and then stop those movements. No fidgeting allowed. You scuba air consumption will improve. Make sure you have nothing dangling from your gear setup. This will create drag and increase air consumption. So get rid of those scuba accessories you don’t use and have everything clipped and close to your body. This has the added benefit of not damaging the coral from dangling equipment. I know this is easier said than done, but this is one skill that will pay off in spades. Ideally, you want to be able to stay level at the safety stop with no air in your BC and about 50 Bar in your tank. If you are not properly weighted you will be putting air in the BC, letting air out of the BC and struggling to stay at the desired depth. Obviously, this is not the way to conserve air. Do a Peak Performance Buoyancy Course. The more vertical you are, the greater the resistance swimming against the water and the more air you will consume. You may have to adjust where your weights, tank, BC are if you find yourself going vertical all the time. If you don’t have a BCD then get yourself a back inflation BCD as it will make you swim much more horizontal and at the same time make you more streamline. 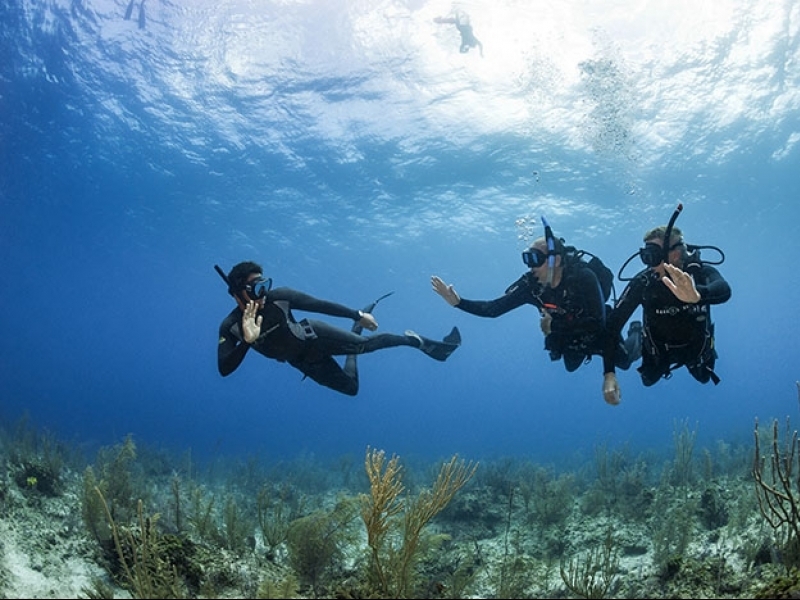 If you are concerned about your dive being cut short, you can always ascend a few meters above the group so you will use less air. Leaks here and there can use up a noticeable amount of air. Check your O-rings, inflator hose and connection points. There is no need to be darting all over the place. Just go with the flow (literally) and stop and enjoy the sights. Your dive will last longer and you will see just as much. I hope these air scuba diving tips will increase the length of your dive. Just remember to try and relax and keep your movements to a minimum. As you get more dives under your belt, you should see a decrease in your air consumption rate. This isn’t a competition, so just go out there and enjoy. Remember you don’t need a big tank you just need to follow these tips use the air efficiently.